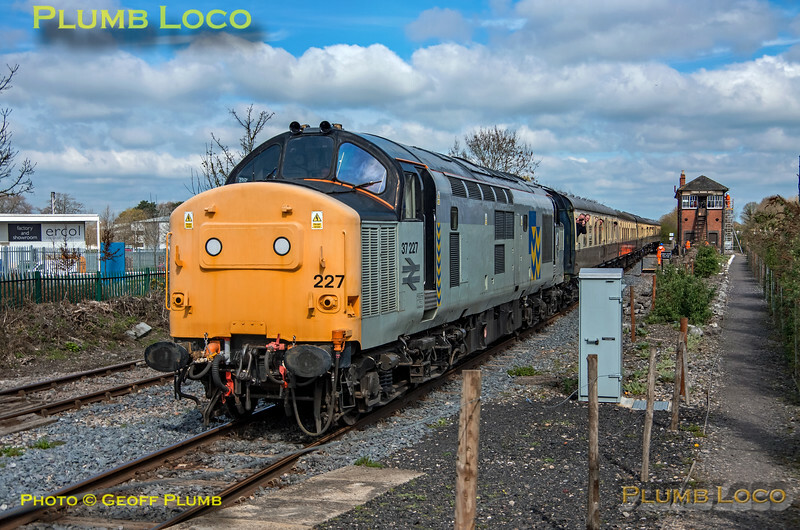 During the Chinnor & Princes Risborough Railway's Vintage Diesel Gala, 37227 arrives into Princes Risborough and is approaching the new Platform 4 with 1P05, the 11:35 from Chinnor. 11:53, Saturday 6th April 2019. Digital Image No. IGMP46879.